This memory was posted in Previously on Amara and tagged Previously on Amara on January 19, 2010 by Grandma Kc. My gramma was always the most precious person in my life. She was my haven in the eye of the storm. She taught me to cook, sew, to paint and to create art. She always helped me find the silver lining and to find the smile. She has been gone 15 years but I still think of her everyday. I have very few memories of actually doing stuff with my grandparents. I want the complete opposite with my grandkids. I want them to consider me (and remember me as) a vibrant and vital part of their lives, not just someone on the periphery, as my grandparents were. I love the short hair on you. I know you’ve been (or were) growing it for a while, but the short is quite becoming on you, too. Now she’s over 8 and I think it’s time for my job performance evaluation. “I feel that over the years I have really grown into my job of spoiling Amara.” The job is its own reward, but everyone likes recognition. I think you’re right! Amara and I will have to sit down and write your job review when she is here next weekend and I will post it for all of the blog world to see! Lol! I hope you post that job review for us all to read! 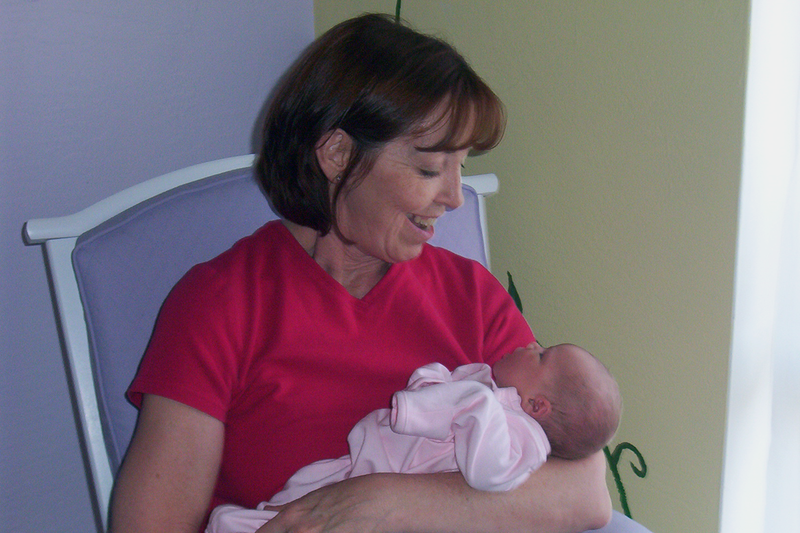 Yes being a grandmother is fun, rewarding AND very improtant to our grandkids who become adults and never forget us. I just became a grandma less than 2 months ago, and I’m looking forward to years and years of memory-making with my granddaughter.